My two uncles from Canada and Chicago and I sought fresh air and exercise at Thiruvalla Stadium one morning. They reminisced like old buddies. When you’re a child, you see the world as a child, and everyone shields the bigger picture and the details from you. That’s the way it should be. Now as an adult, it was fascinating to hear my uncles chat intimately together about the family and its history. I lagged a few feet behind and listened to them discuss decisions that were made and how they were made. It’s different when you hear someone’s POV other than your parents. I finally heard the story with my adult ears rather than my child ears. 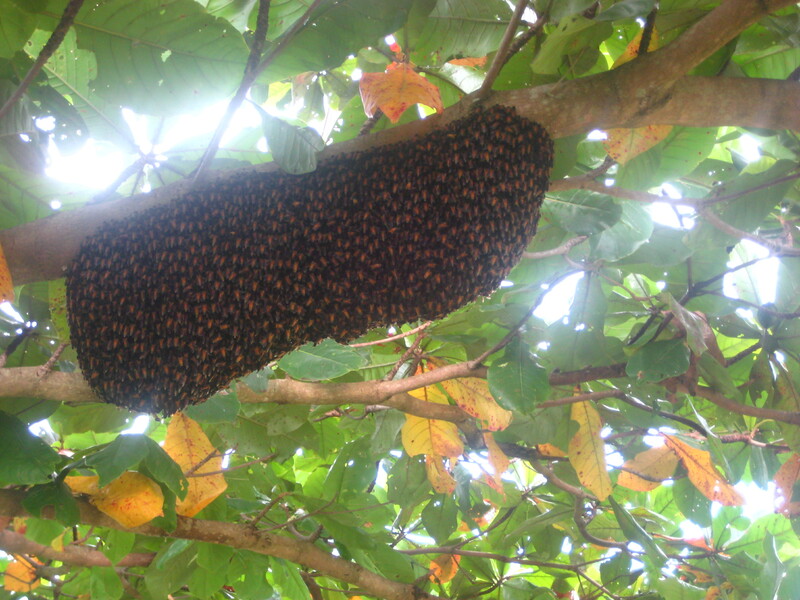 Along the way we grabbed unripe almonds and gawked at a huge bee’s nest just inches above our heads. 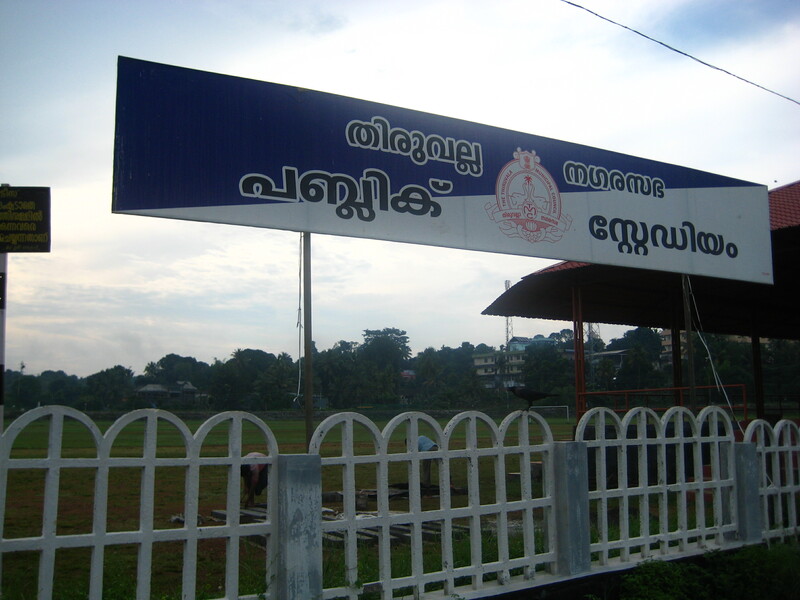 This entry was posted in Kerala Trip 2010, Tales from the Motherland and tagged family, history. Bookmark the permalink. Them bees are DEADLY. Sometimes they’re wasps too. I still have my battle scar on my wrist. One stung me right on the vein…when I was 6. I’m 25 now.